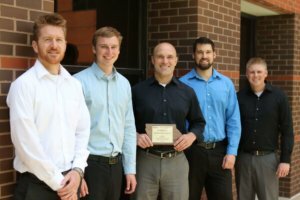 Our structural design and engineering group in Iowa City continues to grow with the recent addition of Structural Engineer Chris Criswell, PE. 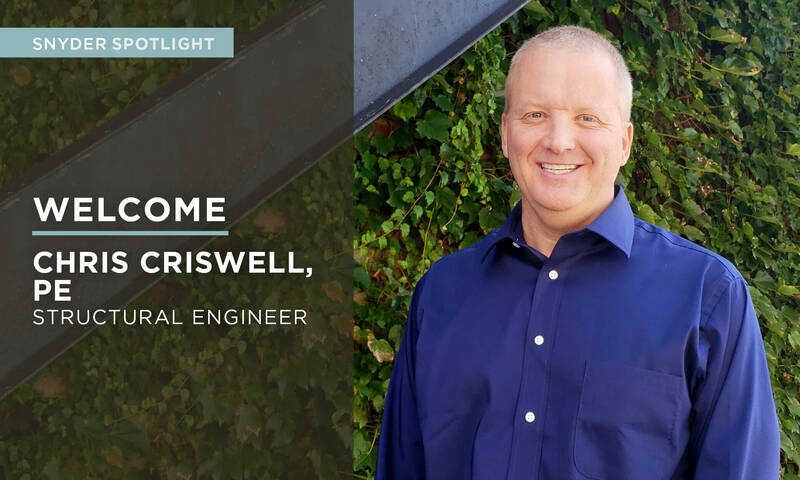 Criswell is a graduate of Iowa State University with a Bachelor of Science in Civil Engineering and a Master of Science in Civil Engineering with a focus on structural engineering. 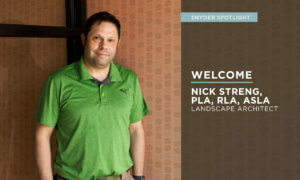 He’s the second person to join the Iowa City team over the past few weeks following Landscape Architect Nick Streng. He brings over 24 years of experience to Iowa City’s structural design and engineering team and has previously worked for a variety of private and public entities including the Missouri DOT. A native of Bettendorf, Criswell says he’s happy to be closer to his family after living in Missouri and Arkansas post-college. In his free time, Chris enjoys traveling, live music, and stand-up comedy. You can also find him playing golf, going to the gym, and cheering on his favorite college basketball team, the Iowa State Cyclones. Reflecting on your career, what’s something you’re proud of? The Highway 54 Bridge that spans the Osage River near the Bagnell Dam in the Lake of the Ozarks. At the time the project came up, I was in a research position with the Missouri DOT and was looking for opportunities to utilize a new material called high-performance steel. I identified the bridge as being able to benefit from the material and was able to design the bridge, which typically would’ve been passed along to a consultant due to its size. I also helped the DOT’s bridge and research divisions pursue federal funds for the project. We received $500,000 for construction of the bridge, and the use of high-performance steel saved us money on the project. It was the first bridge of its kind using that material in the State of Missouri and the longest bridge I had worked on at that point in my career. I’ve worked on larger bridges since then, but the Highway 54 bridge project remains a significant milestone for me. Enjoying what you do while benefitting yourself, those you love, and the general public. What advice would you give to someone that’s just beginning an engineering career? In addition to going to class and doing your homework, I think it’s important to pursue internships. Gaining experience in your field before graduating will provide a lot of benefits down the road. I didn’t have an internship, and while I was able to overcome a lack of experience when I graduated, I would strongly encourage others to avoid that situation by doing what they can to gain experience while they’re still in school. What’s your most memorable vacation? New York City. I’ve been there three or four times now and have seen a variety of things including the Statue of Liberty, the 9/11 Memorial, and Yankee Stadium. Quite a few years ago, I also went on a cruise from Miami to Puerto Rico and the American Virgin Islands with a bunch of college friends that was a lot of fun. As a fan of music, do you have a favorite band or genre of music that you like to see live? Back in the day, I enjoyed festivals like Lollapalooza. Nowadays, it’s more about seeing the groups I liked years ago. One of the last concerts I went to was the 2018 Summerland Tour in Kansas City featuring Local H, Marcy Playground, and Everclear. In addition to living closer to your family, what else excites you about your return to Iowa? There’s going to be a lot more opportunities to ride my bike. I’ve done Ragbrai about five or six times in the past, and I look forward to doing it again now that I’m back in Iowa. What three traits or qualities best describe you?